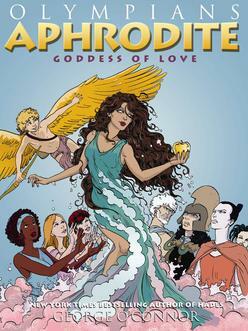 In volume six of Olympians, graphic novel author/artist George O'Connor turns the spotlight on Aphrodite, the goddess of love. Look for the same thoroughly researched and wonderfully accessible comics storytelling as O'Connor tackles the story of the Aphrodite from her dramatic birth (emerging from sea-foam) to her role in the Trojan War. O'Connor has outdone himself with this volume: the story is riviting and the artwork is beyond compare. Greek mythology has never been so vivid! George O'Connor brings his lifelong passion for Greek myths to bear in this New York Times–bestselling series for young readers.